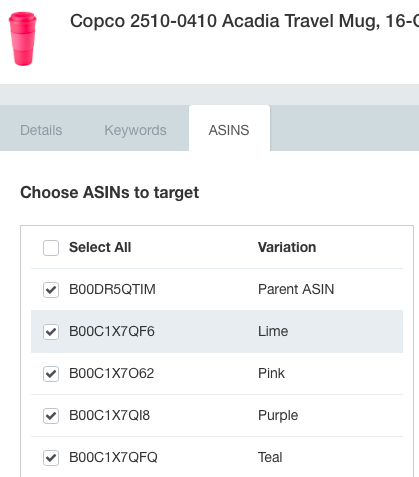 Adding Parent/Child ASINs to AMZ Tracker. In order to set up your parent and child ASINs correctly in AMZ Tracker you need to know how they have been setup in Amazon. The parent ASIN is always listed in the URL - www.amazon.com/dp/B00DR5QTIM. In the above example the parent ASIN is registered to the color variation 'Translucent Pink', with the child ASINs (below) being the additional color options of lime, pink, purple or teal. 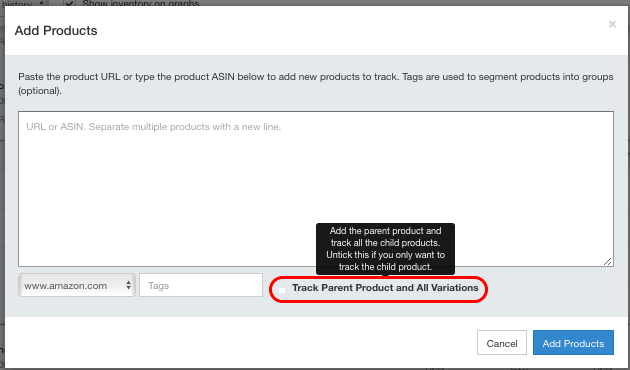 When you add a product to AMZ Tracker the system automatically tracks the parent and child ASINs of the product you enter. This is the default setting for AMZ Tracker. However, if you want to track parent and child ASINs separately this can be done, but more on that soon. 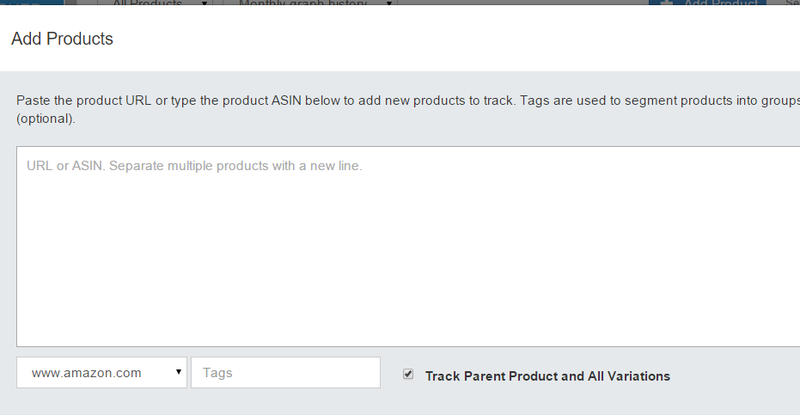 When adding a product to AMZ Tracker you have the option to enter an ASIN or URL. 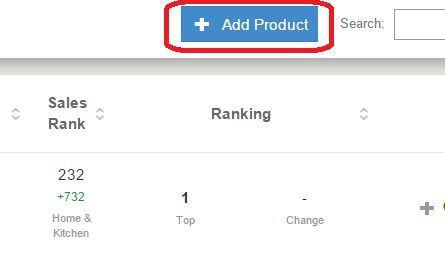 You will need to go into the 'Rankings' tab in your AMZ Tracker dashboard. Enter it into the popup for 'Add Products'. And then UN-CHECK the 'Track Parent Product and All Variations' box. Rankings Tool: Rankings aren't separated by parent and child ranks, because it is always the parent ASIN that is used for the search results. Your title and description are linked to the parent, and each child ASIN doesn't have different copy. Sales Tracking: We can display the individual sales for each ASIN. From the Sales Tracking tab if you click on the 'Show Variations Table' icon, all of the sales data will then appear below the parent ASIN. Super URL: You can create a Super URL for 1 ASIN or for them all. When setting up the Super URL you have the option to un-select ASINs, so you can edit this as necessary. 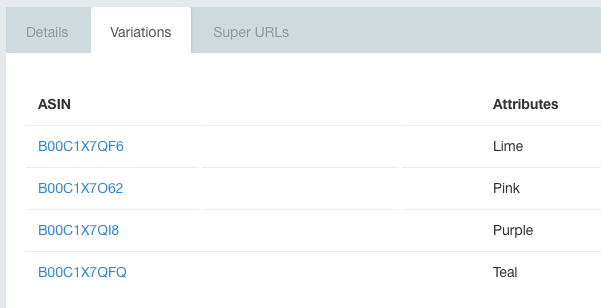 In addition to this you can create multiple Super URL's if you want say 1 for each variation. It's your choice! On Page Analyzer: The tool will analyze the listing which is connected to the parent ASIN. Each child ASIN has the same copy, so there isn't any need to analyze the variations. The results would be the same, like it is for the rankings.